Thomas Vermaelen has not enjoyed a great stint at Barcelona. He has had to deal with several injuries and apart from that, he has also not been able to get accustomed to Barcelona’s style properly. It’s not that Vermaelen has had a complete horror run at Camp Nou. He has not established himself as a regular starter, but whenever he has got an opportunity as a back-up, he has been decent. But he hasn’t had as much success as he would have liked to. 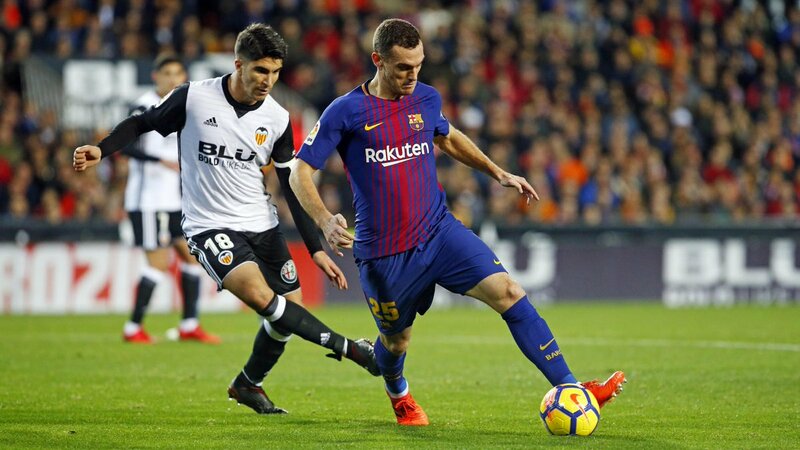 This season, Vermaelen has featured in only a couple of Liga games and there are minimal chances of Barcelona offering him a contract extension due to his fitness and also the fact that he is not getting young anymore. Whilst Barcelona remain the firm favourites for La Liga, they are also strong contenders for winning the Champions League, based on Champions League betting predictions in UK’S sites . Vermaelen will certainly get enough appearances to earn a medal, he knows that this will be his last chance for a side competing for the title. In all likelihood, he is going to be on his way out of Barcelona next summer and two clubs who have been reported to have shown interest in roping him in are Watford and Southampton. Vermaelen is approaching his mid-thirties and well past his prime. So it’s not likely that the top Premiership clubs will entertain the thoughts of having him, but because he has played in Premiership before and has performed with distinction, that experience might help him in earning a deal with comparatively lesser reputed Premiership clubs. Talking about the current positions of Watford and Southampton in the Premiership, Watford is in a far better position with 6 win and 2 draws from 12 games in comparison to 1 win and 5 draws of Southampton from the same no. of games. Watford are placed at the 7th position in the standings as opposed to the 17th position of the Saints and they can be backed to finish in top 10 if they continue their current form. Southampton, on the other hand, is in the relegation battle. So Vermaelen might be lured towards Watford.